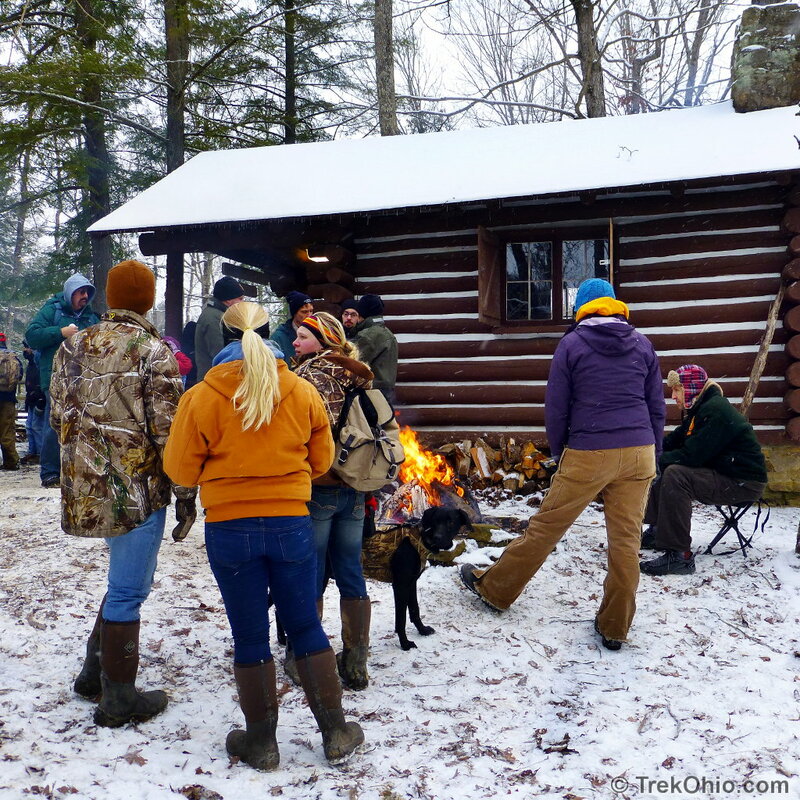 As Ohio temperatures begin to dip, wood piles are stocked for comfy evenings by a roaring fire with friends and family during the holiday festivities. 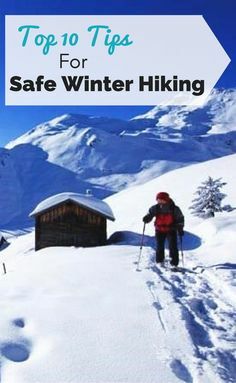 ... winter hiking ever since. 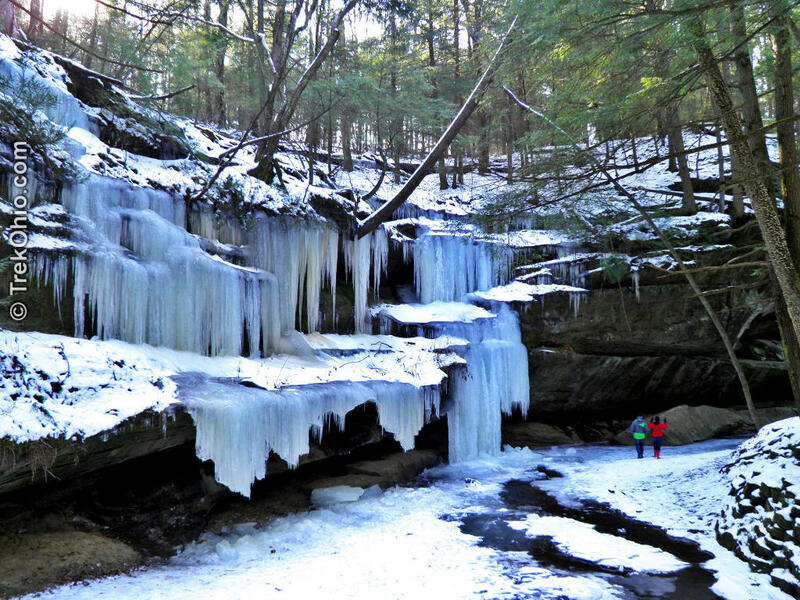 Huge icicles draping cliff edges. 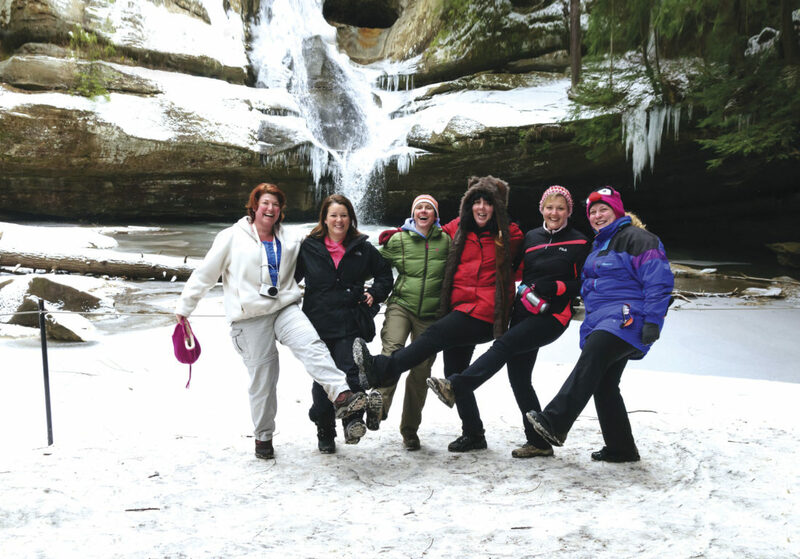 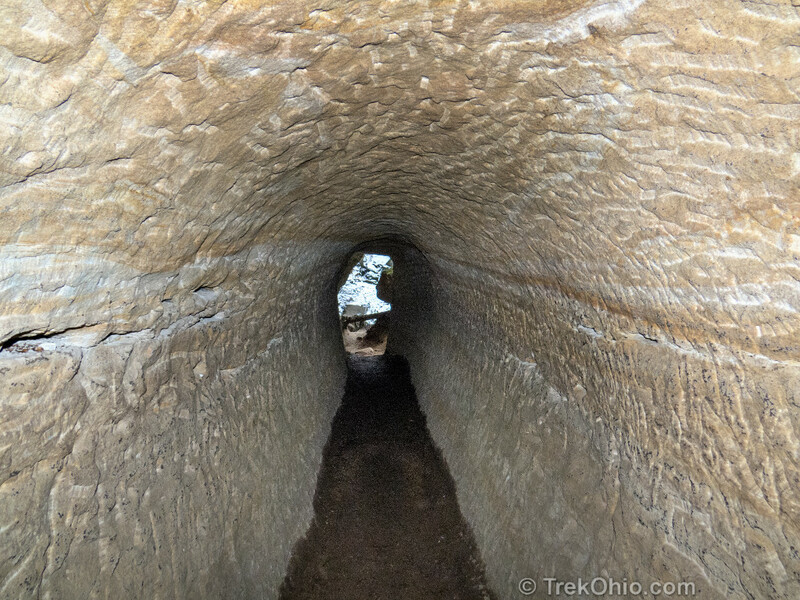 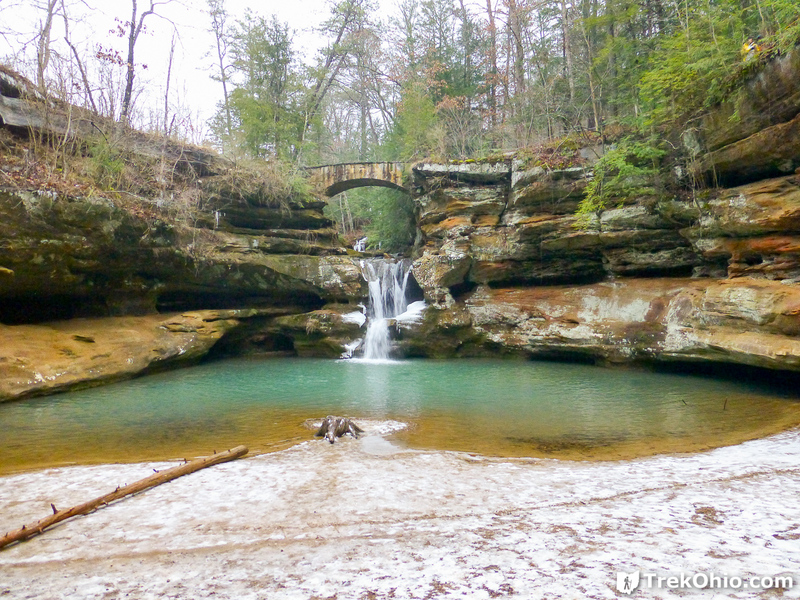 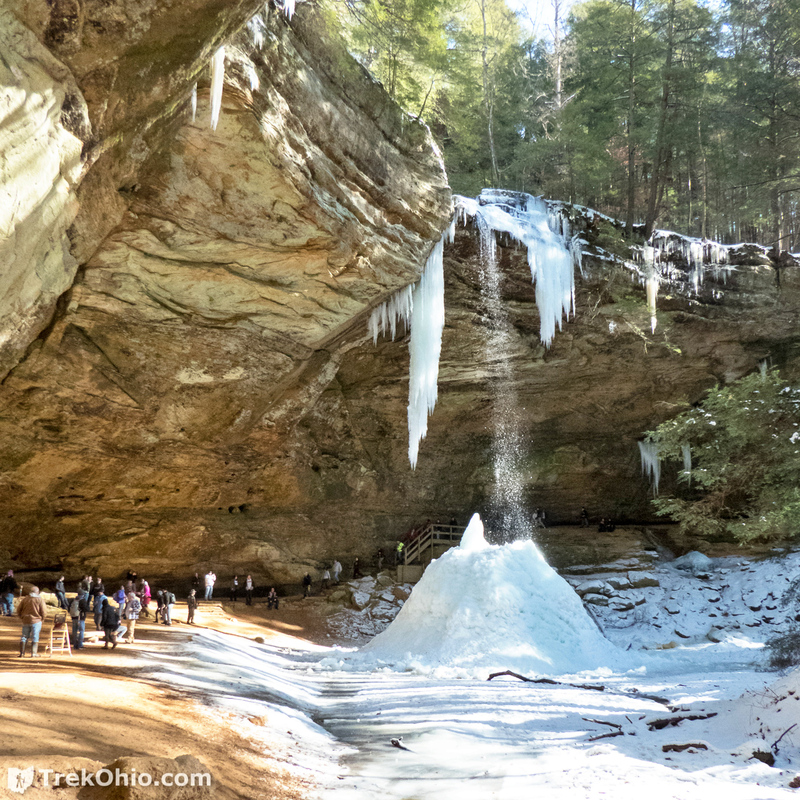 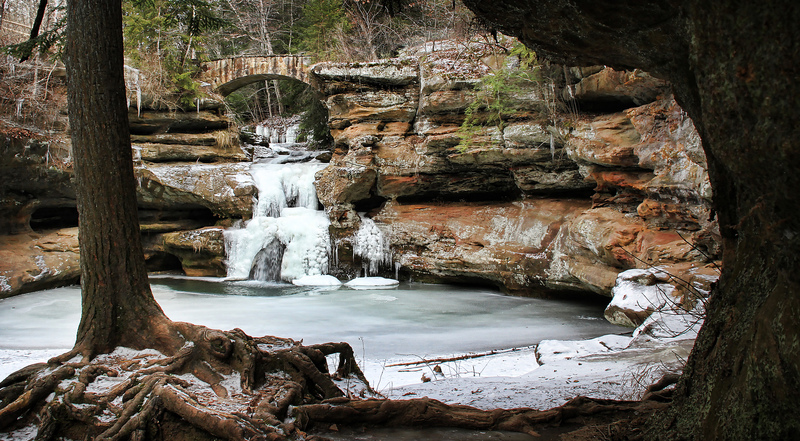 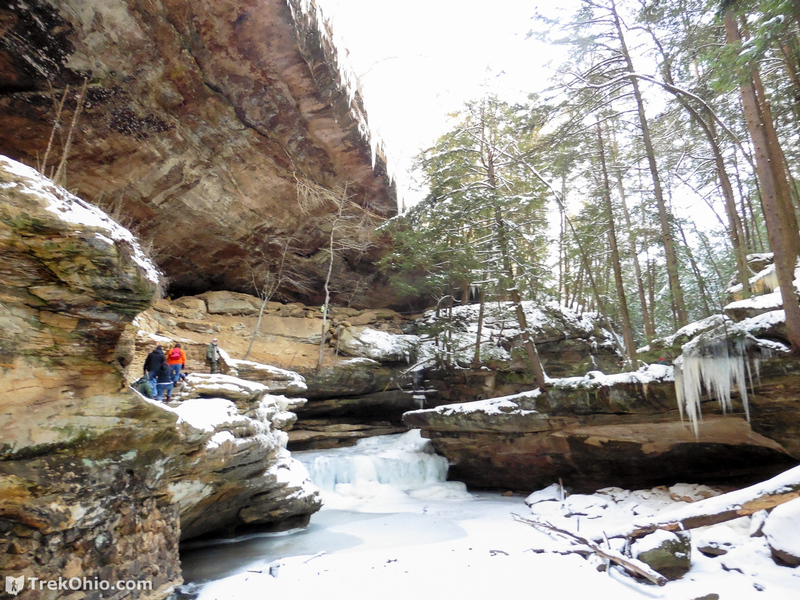 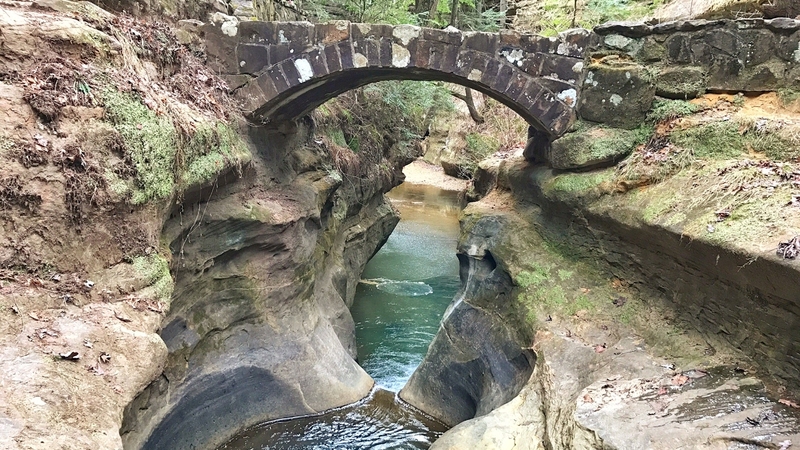 Winter Hike in Ohio's Hocking Hills State Park! 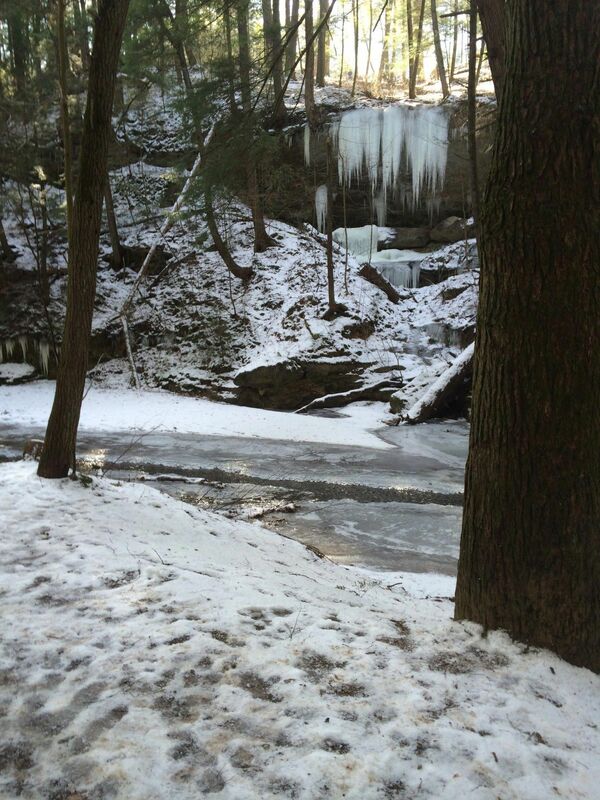 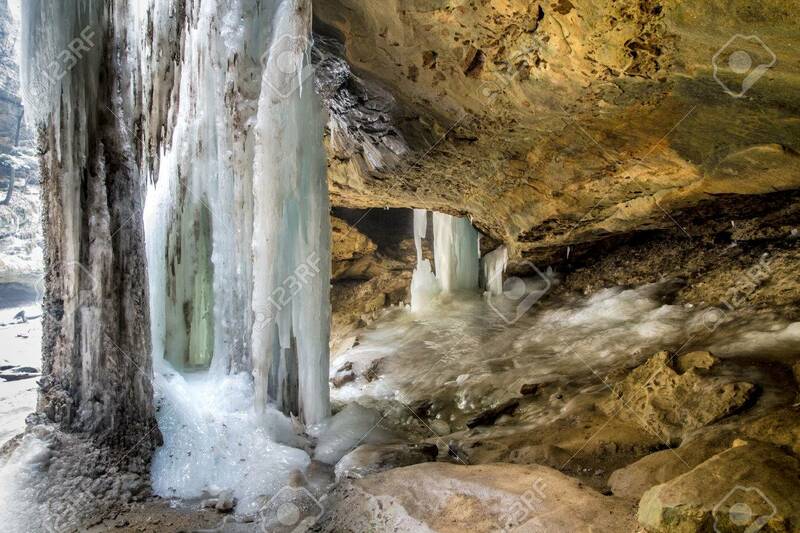 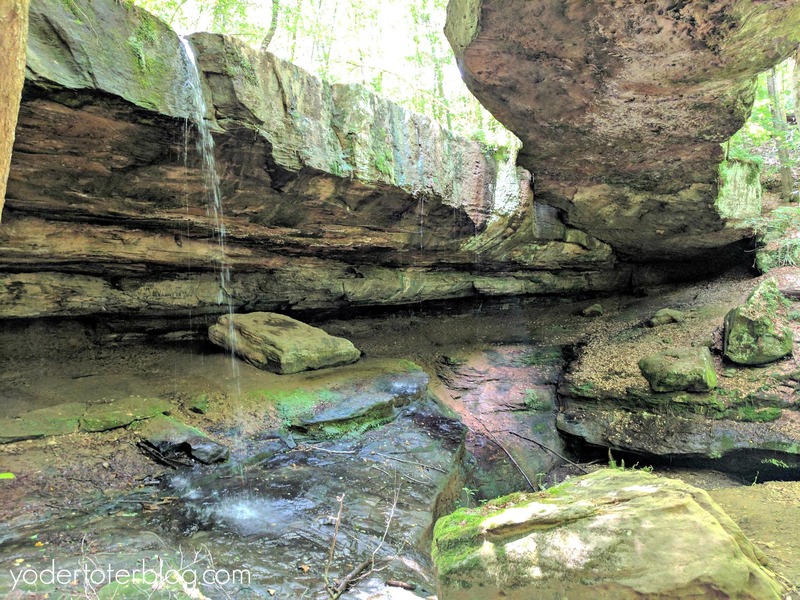 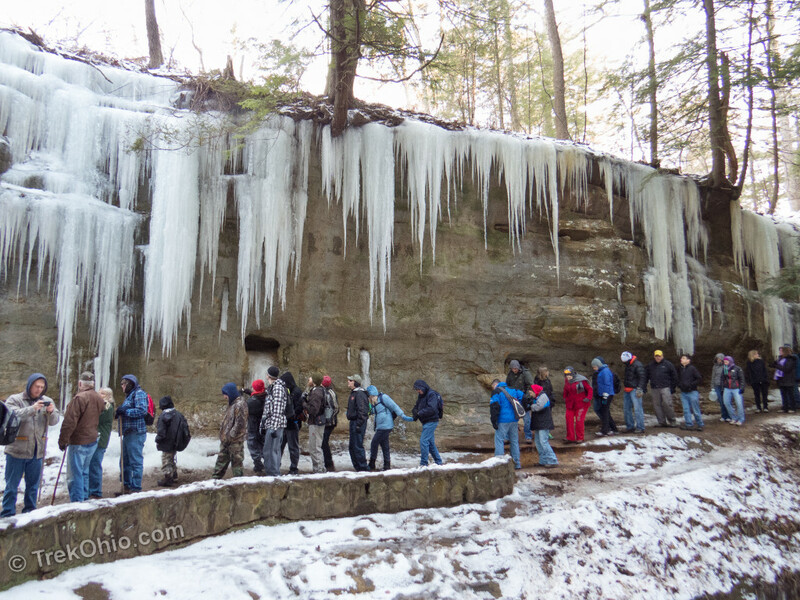 Frozen waterfalls, gorgeous scenery and a super fun family event! 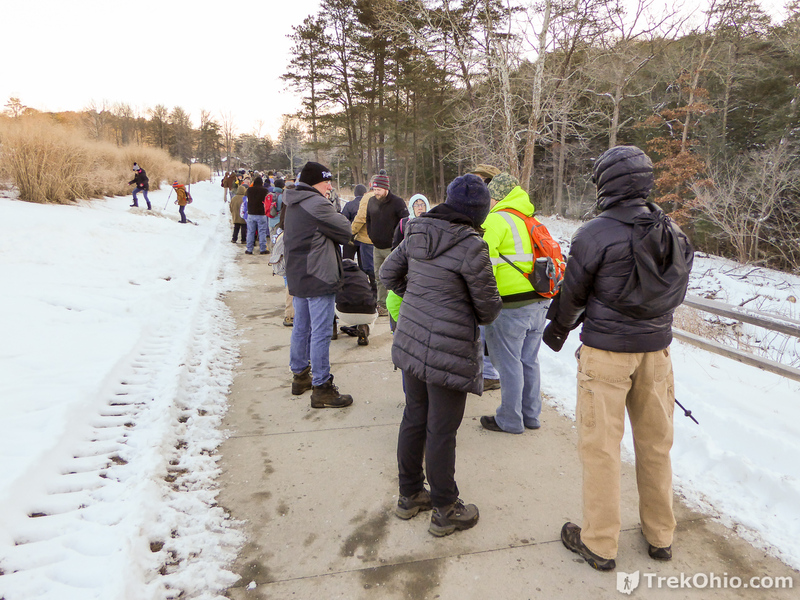 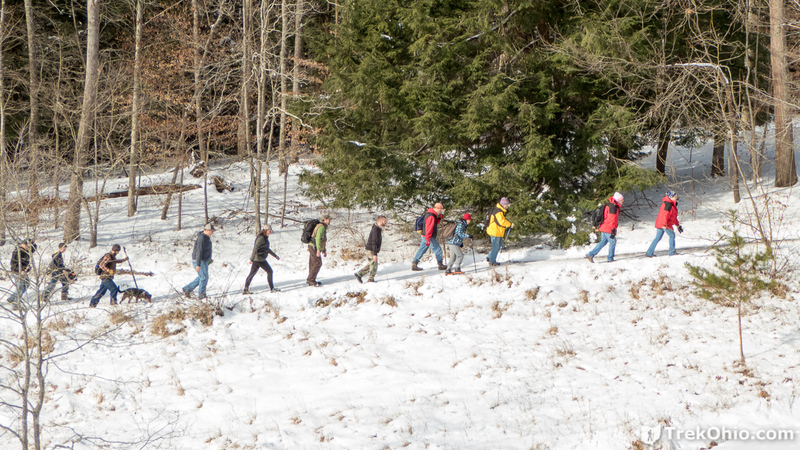 Lots of hikers participate in the Annual Hocking Winter Hike. 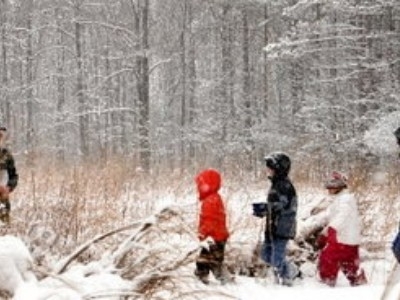 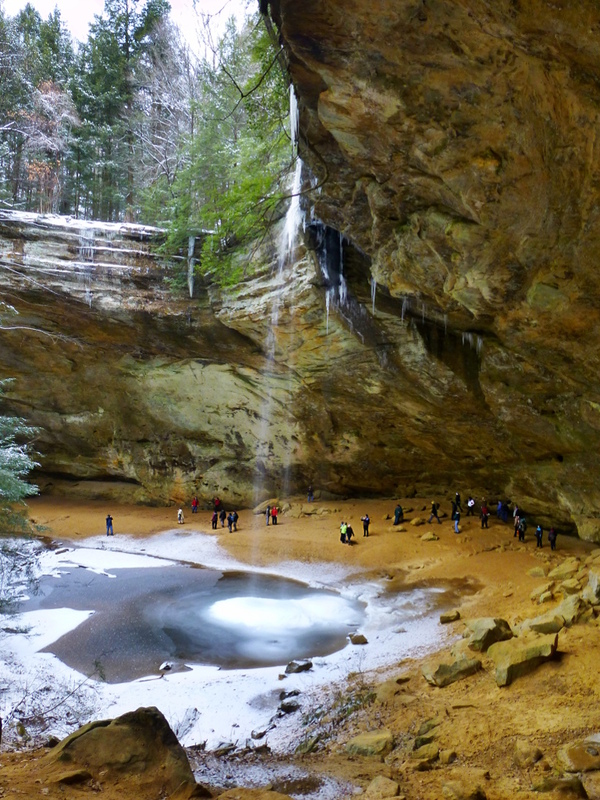 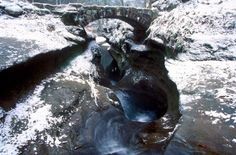 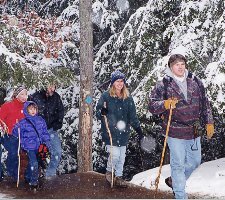 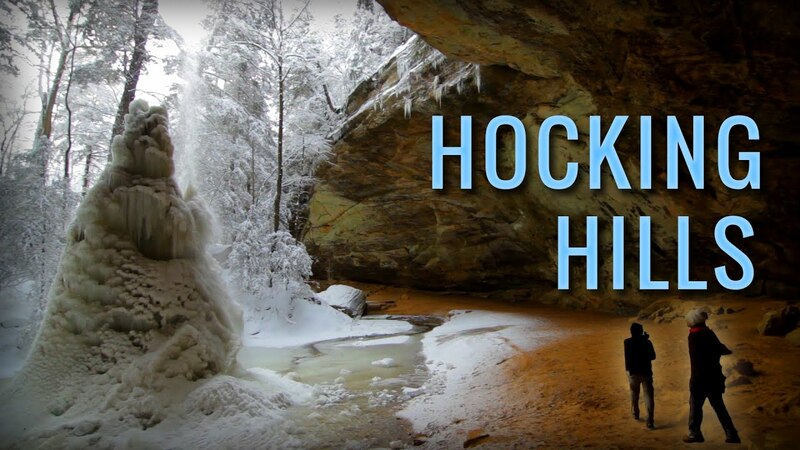 ... Winter Hikes in Hocking Hills. 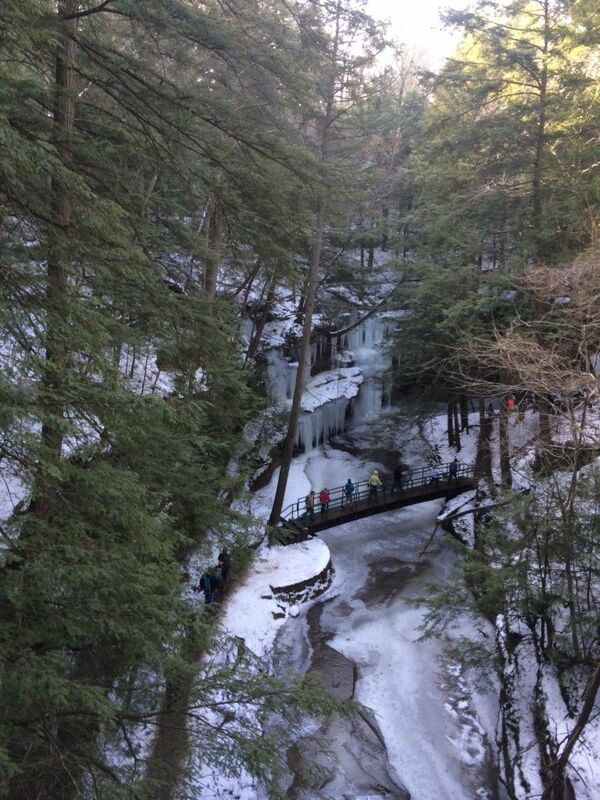 High above the rim trail at Conkels Hollow Nature Preserve. 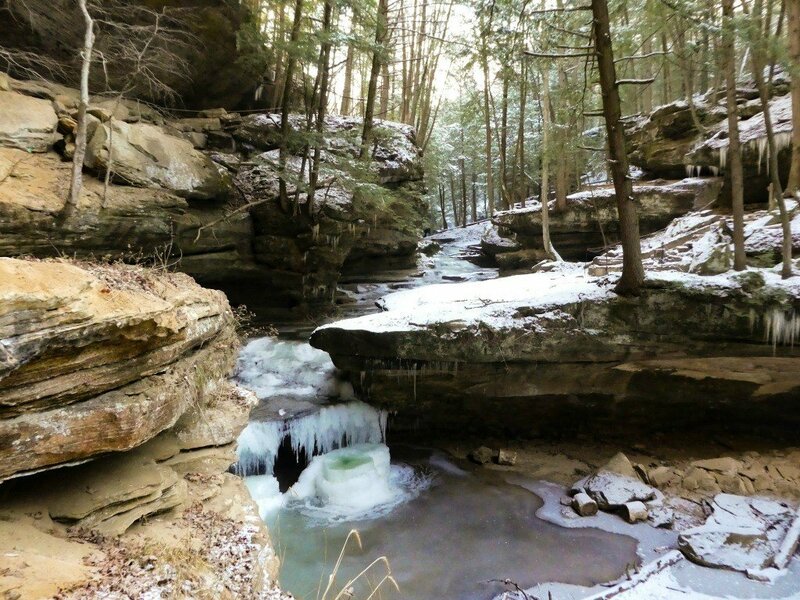 High above the rim trail at Conkels Hollow Nature Preserve. 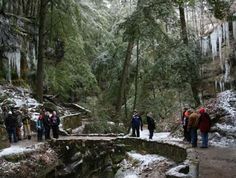 ... on this stretch of the trail so the gloomy weather was not a problem. 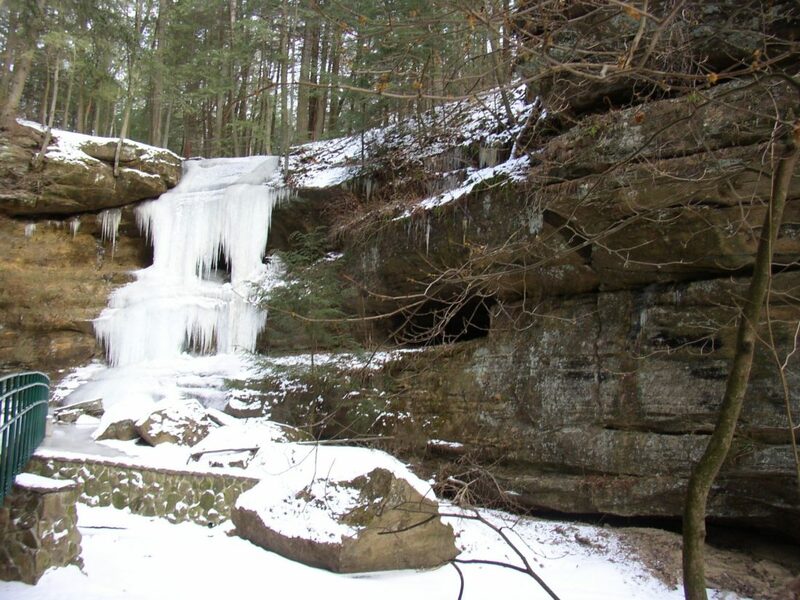 The area attracts lots of rock climbers and horseback riders as well as hikers. 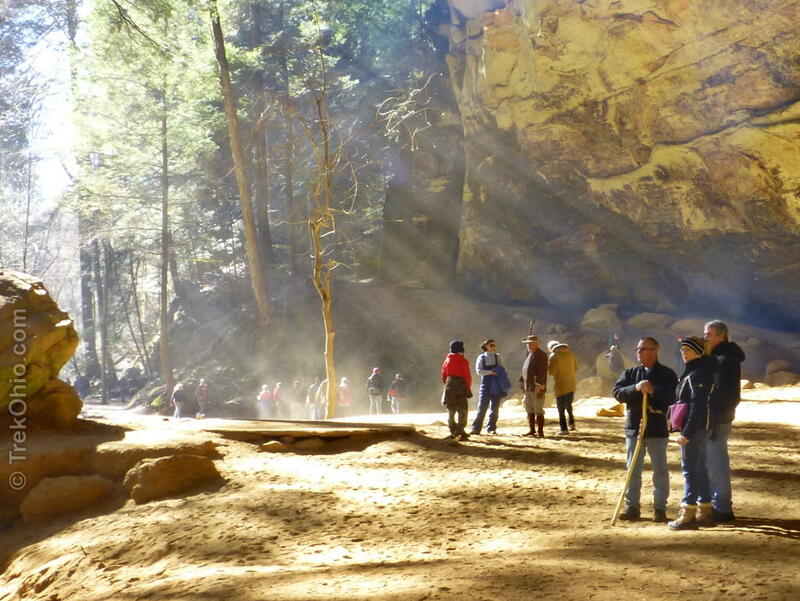 Smoke from a nearby campfire was catching sunbeams at Ash Cave. 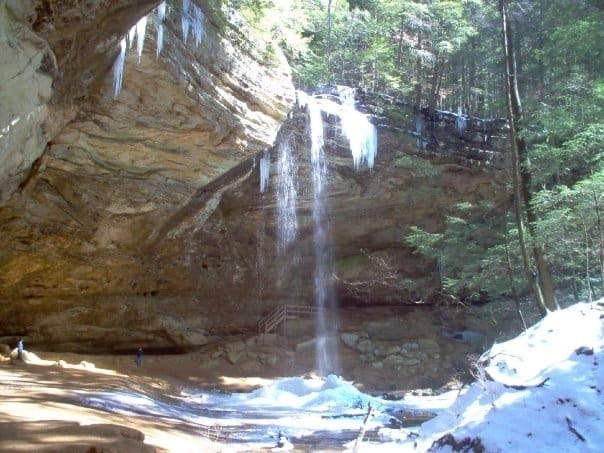 Old Man's Cave in Hocking Hills. 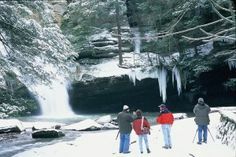 We're open in the winter too! 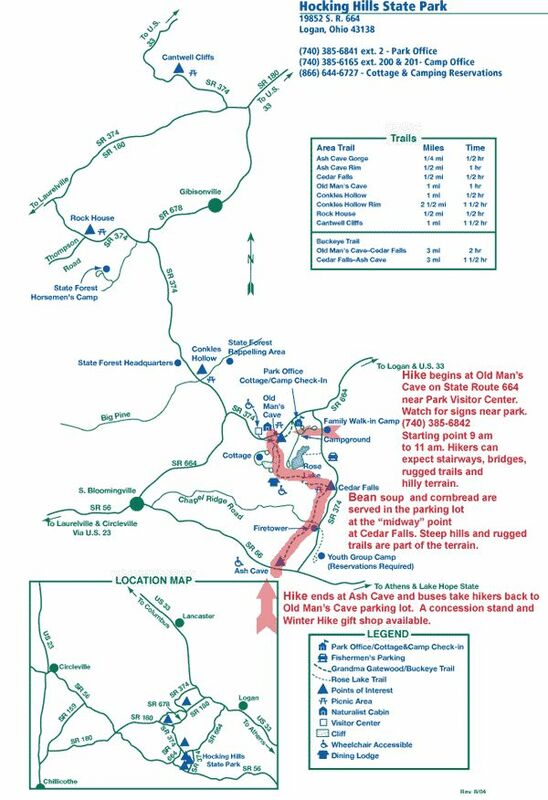 Come stay with us, come hike with us. 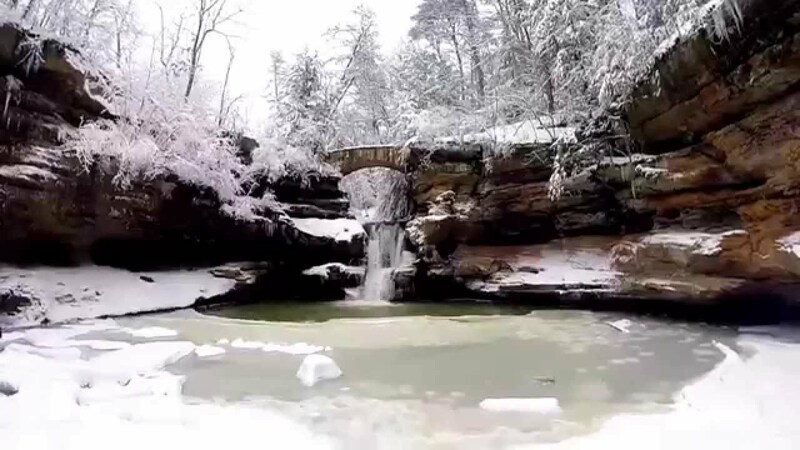 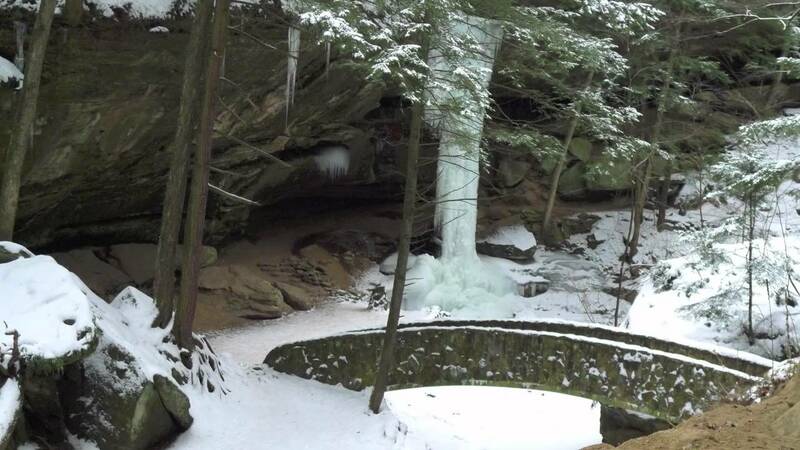 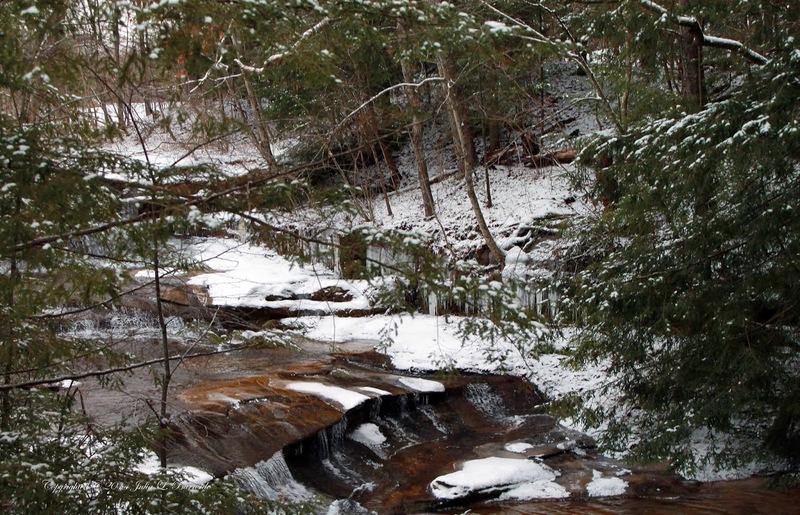 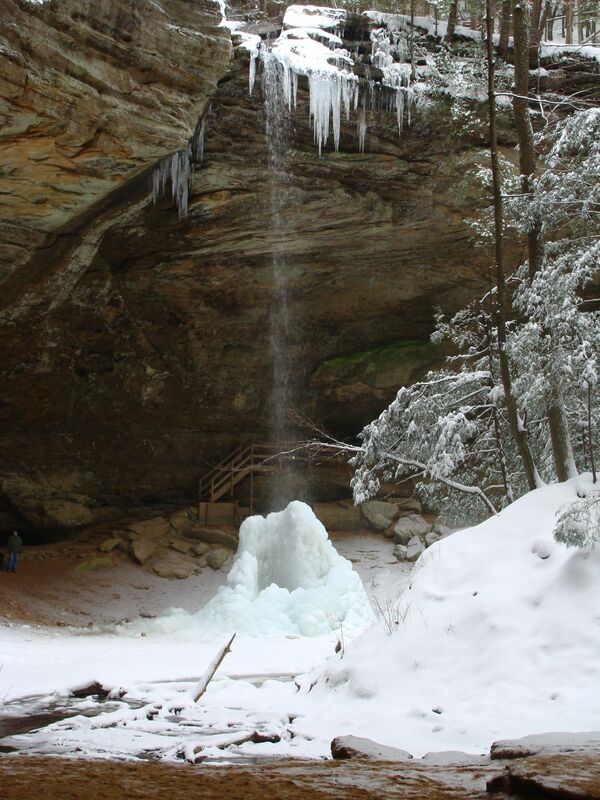 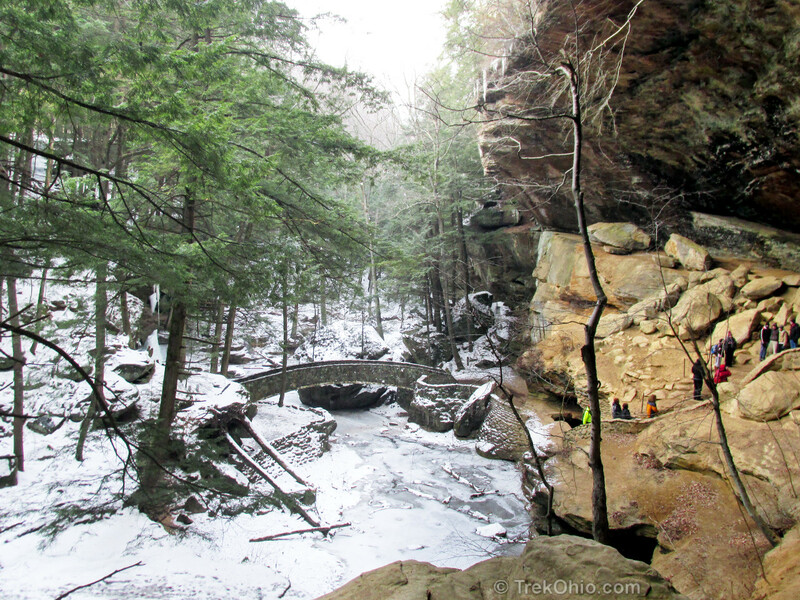 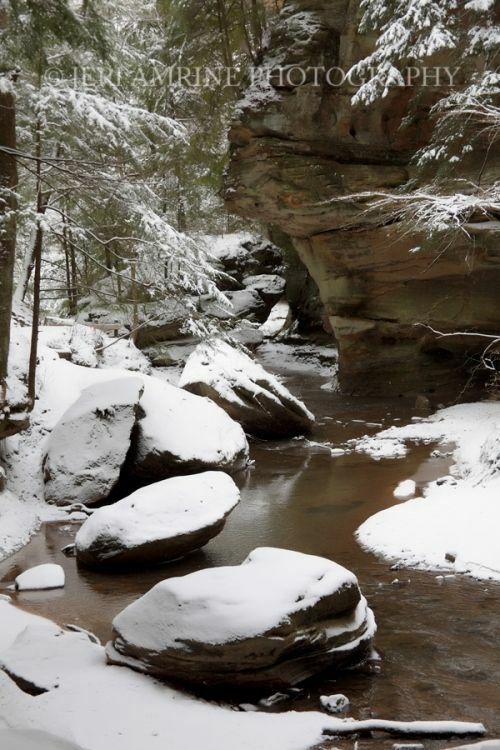 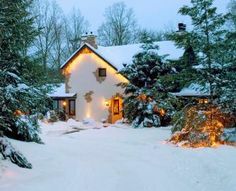 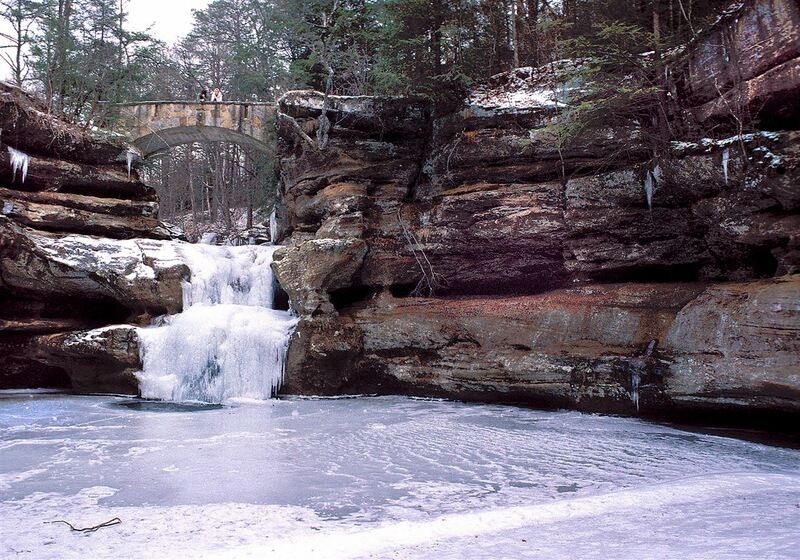 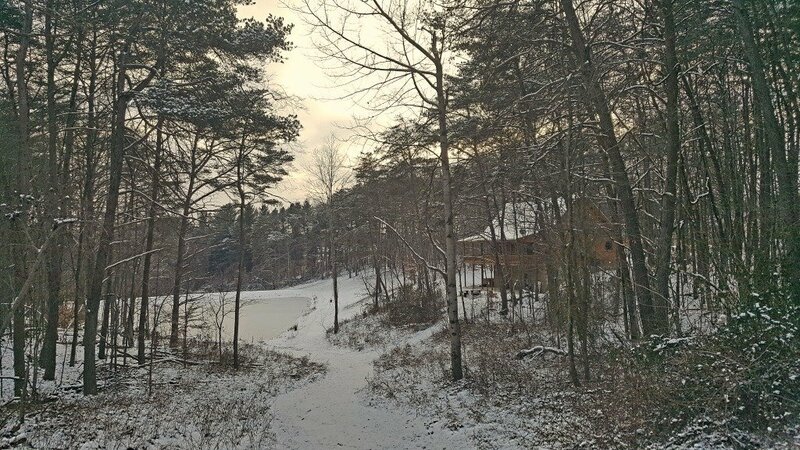 Hocking Hills is beautiful in the winter when it is blanketed with snow. 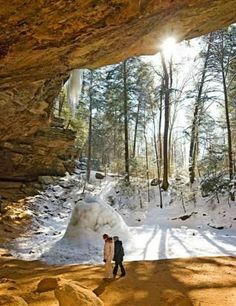 Old Man's Cave in the winter. 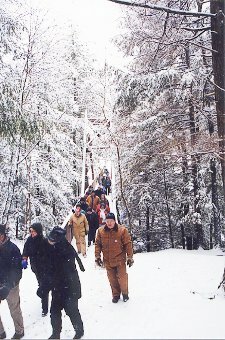 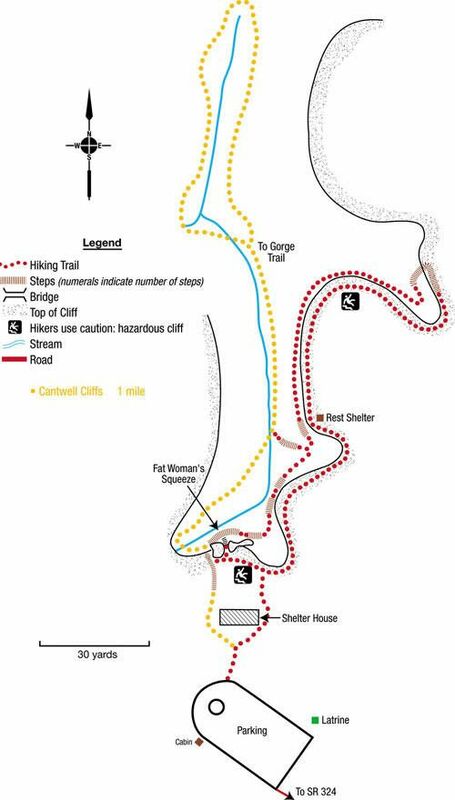 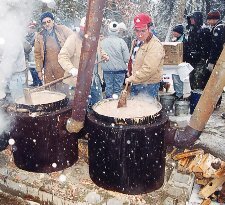 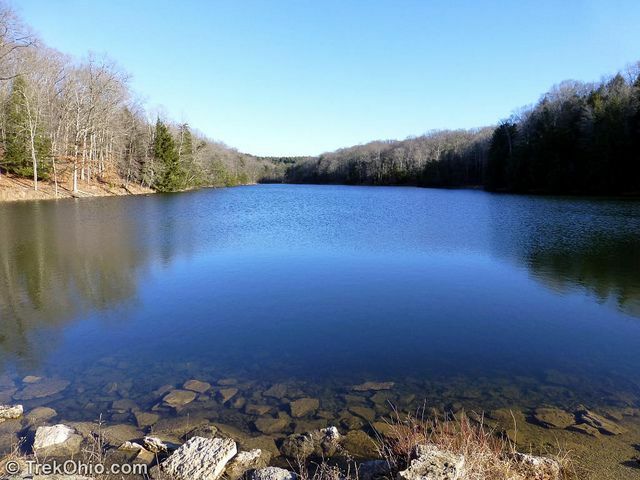 It is a popular hike and attracts thousands of people each year. 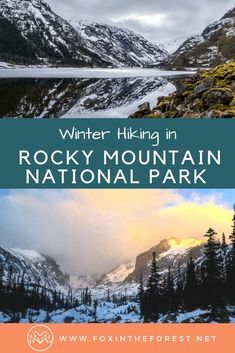 This year it included me and my hiking buddy Melinda. 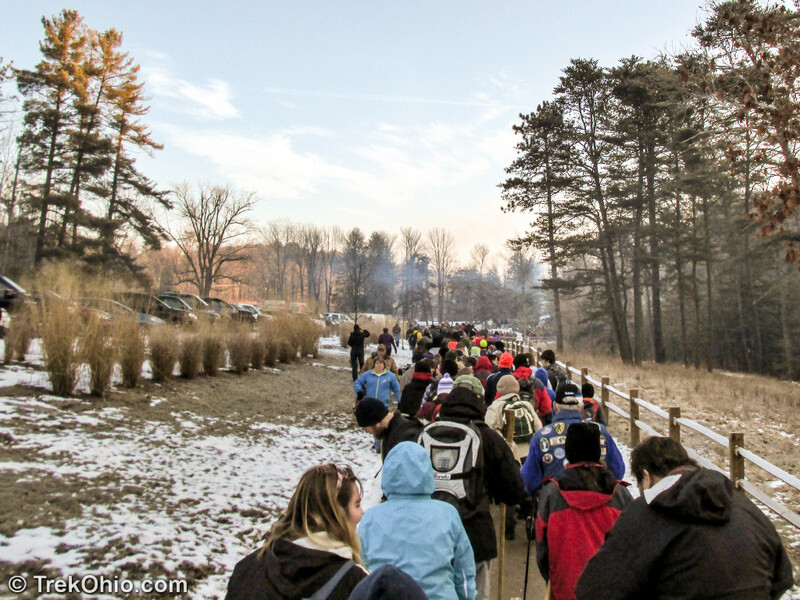 I had no idea how many people were going to be at the event -- over 4500 hikers. 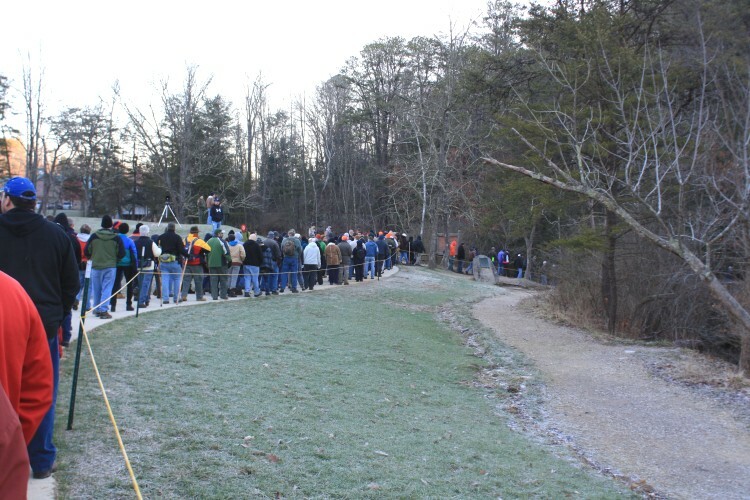 Here is the line to start the hike at ~10am. 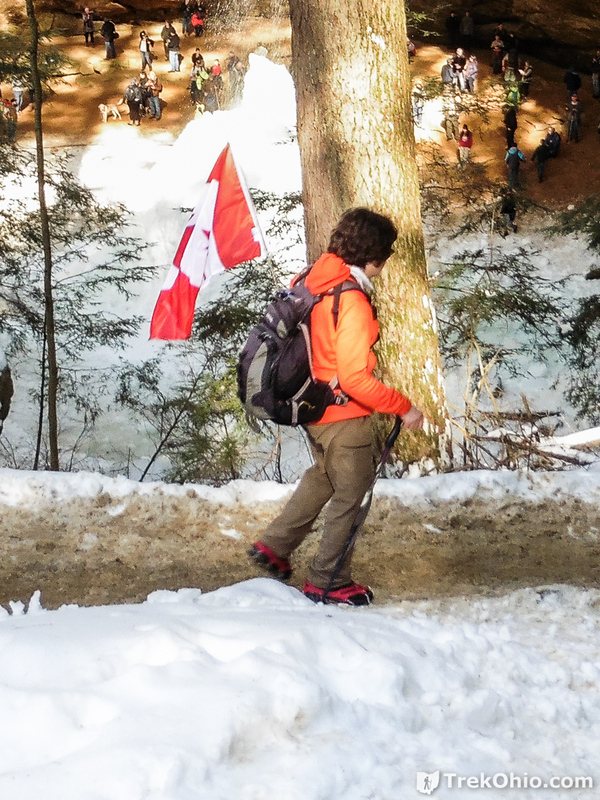 The tour guide for the Canadian hikers wore a Canadian flag. 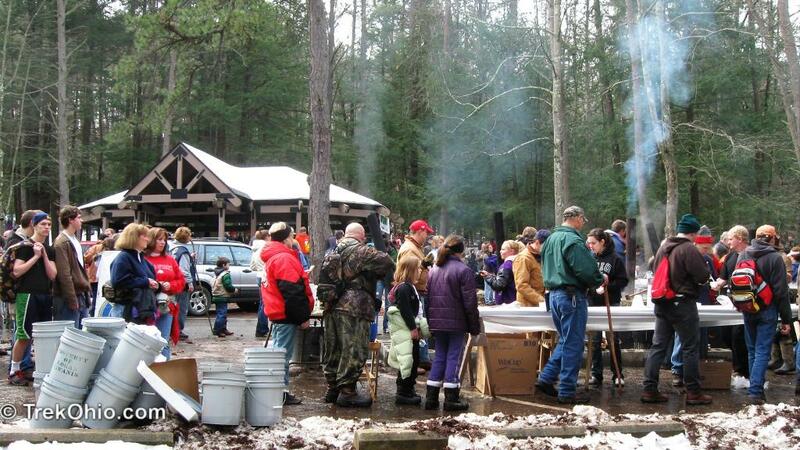 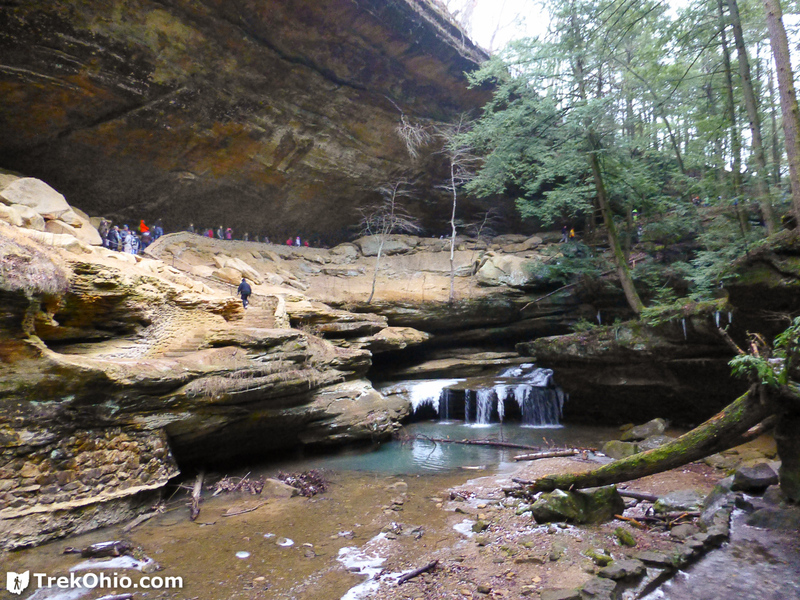 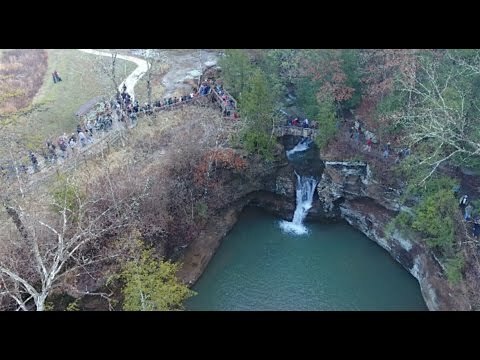 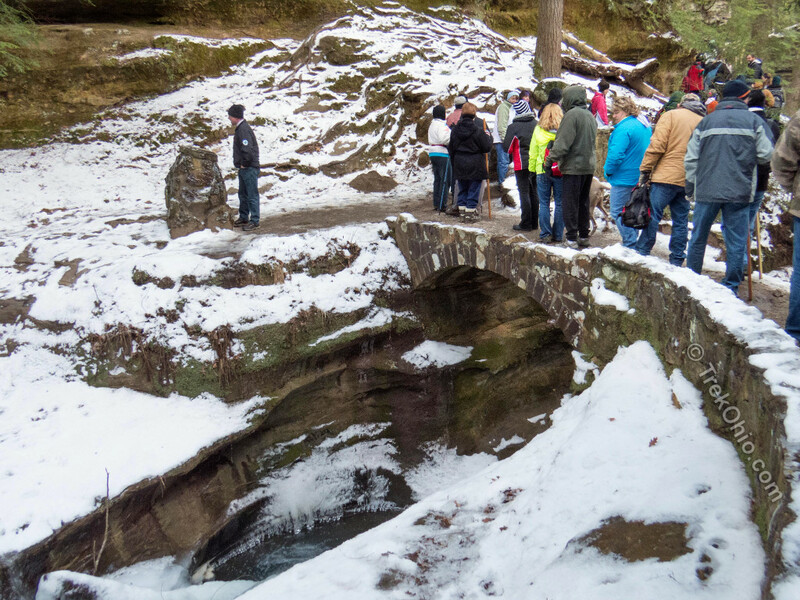 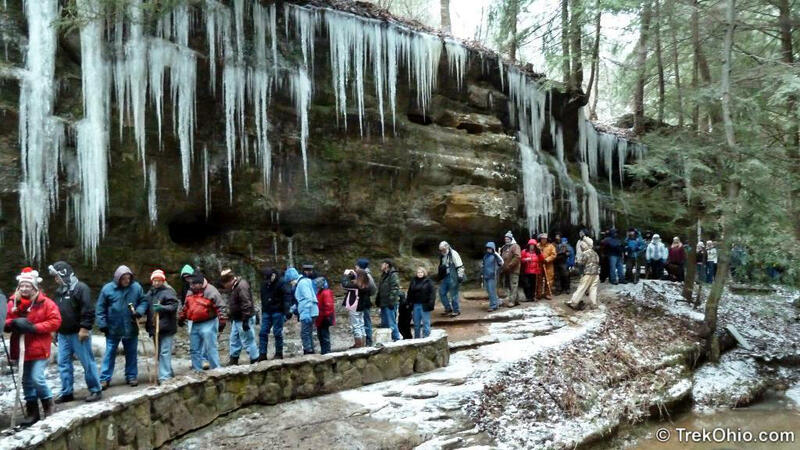 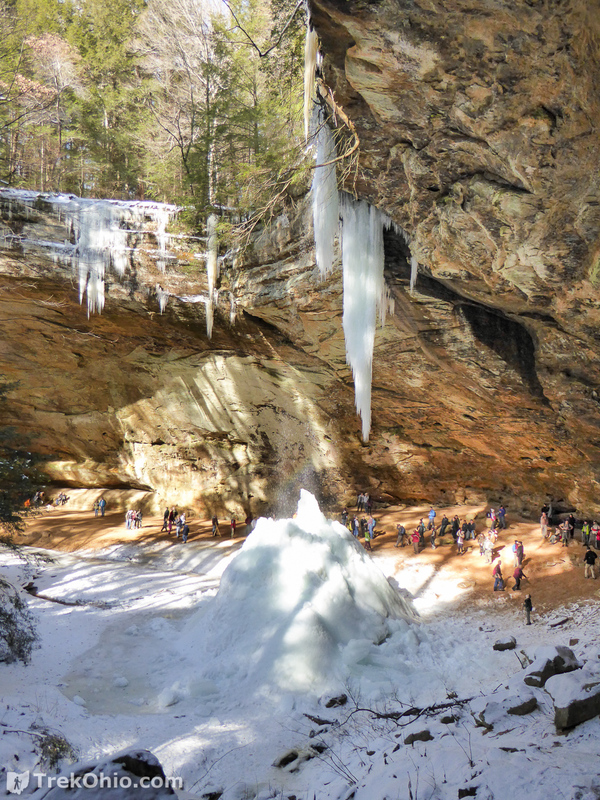 The annual Hocking Hills Winter Hike Old Man's Cave draws hundreds of families from across North America. 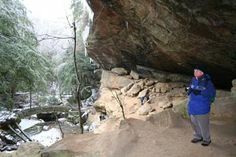 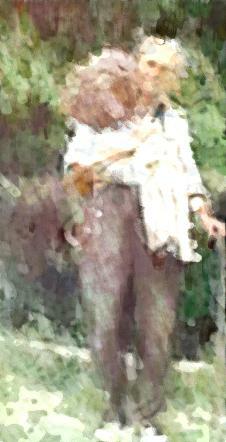 In 1960 and 1963, she again hiked the Appalachian Trail solo, and in the years between, walked countless miles all over the Ohio countryside. 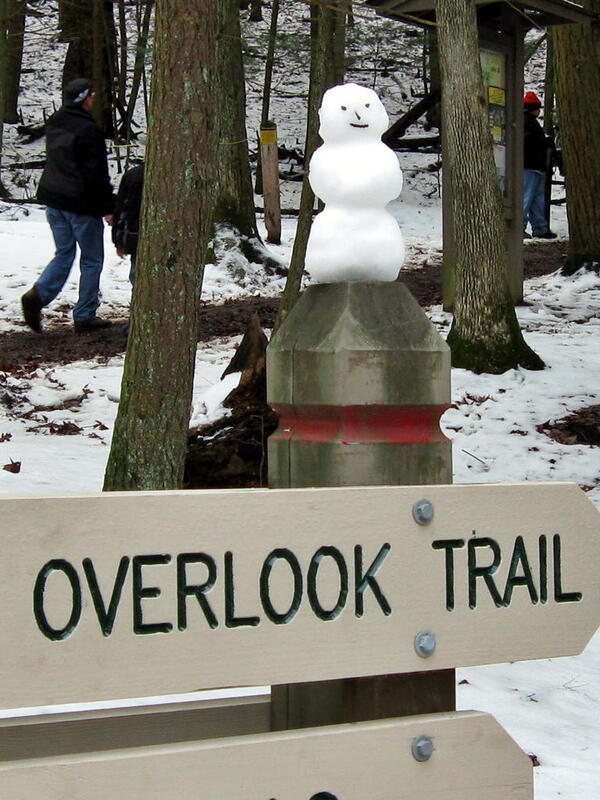 Mini-snowman on trail sign; there's definitely a festive atmosphere to the Hocking Winter Hike.